Please write word or quote EXACTLY as you want it to appear. If Quote does not fit you will be notified and refunded. A great gift idea! 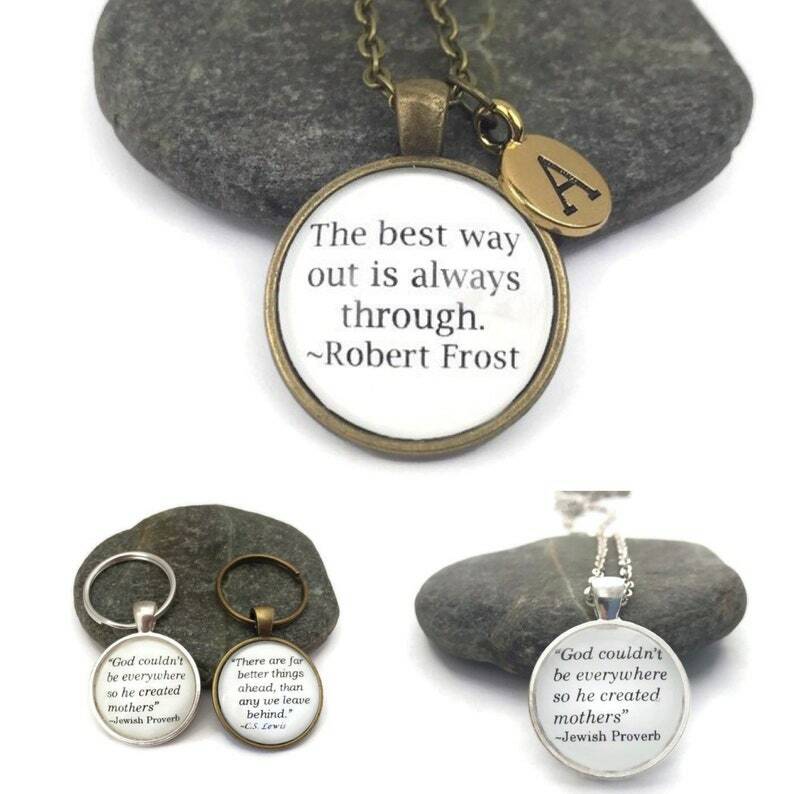 This necklace/keychain can feature any quote you want (as long as it fits). Use a favorite inspirational quote, a song lyric, or make something up. 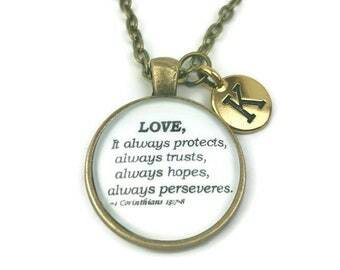 Necklaces can be personalized with an initial charm. The necklace is made using a bronzed or silver plated setting and chain. The quote is protected with a layer of resin and domed glass that slightly magnifies the print. The necklace is 24" long and has an easy to use lobster claw clasp. The pendant is 30mm (slightly more than 1") in diameter. Each necklace is packed in a pretty organza bag. All jewelry is lead and nickel free.